Randy doesn't follow rules. He'll generate random events, and he doesn't care if they make a story of triumph or utter hopelessness. It's all drama to him. 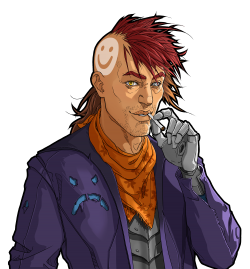 Randy Random, is a wild storyteller whose main characteristic is triggering challenges at any time of any difficulty, to the extent of launching several dangerous threats all at the same time or consecutively. This page was last edited on 20 January 2018, at 02:09.